Do you want to be involved more in community affairs? This program provides learning and development opportunities for talented people interested in guiding our community to new heights for future generations. You will build your leadership skills while you build your community in Leadership Kingsport! About 30-35 individuals are selected for each year’s class based on submitted applications and personal interviews. To graduate, you must engage fully in the process and have the workplace flexibility to attend day-long sessions monthly from October – May. There is also a team building 2-3 day trip in September and a 2-3 day trip to Nashville in March. You may also have other meetings when completing a community impact project (CIP). 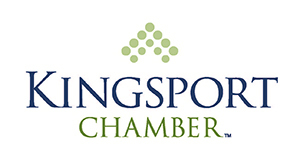 Complete the application (see link) and return to your Kingsport Chamber to the attention of Vanessa Bennett.